The easiest way to look for the perfect chess board is by size. This section is categorized by square size to make it easier to match up with the chess pieces of your choosing. 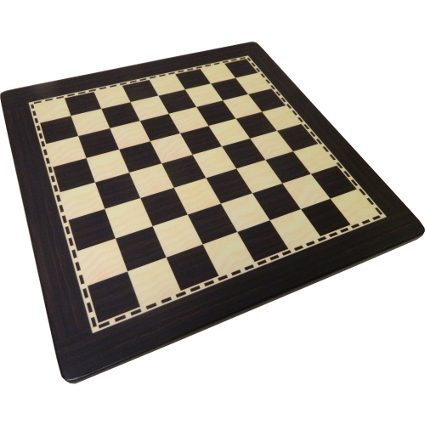 A selection of the best basic chess boards that are simple, affordable, and elegant. 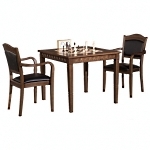 A great place to look for a good chess board at a great price. 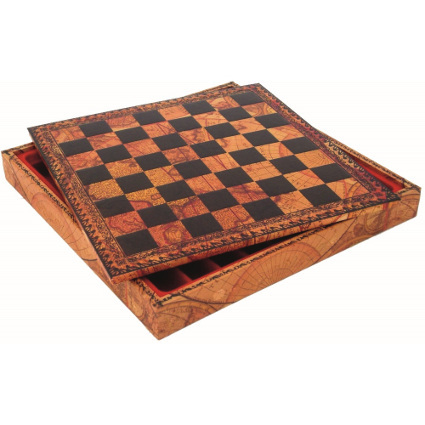 If you are looking for a chess board with storage, we have a selection ranging from simple wood to elegant leatherette in a number of styles, sizes, and colors that are suitable for both traditional staunton and exotic theme chessmen of most sizes. The executive line of chess boards from Mark of Westminster feature clean lines and a smaller border to conserve tablespace. Each board has a handsome black pinstripe around the edge to help compliment any decor. These real-wood Spanish veneers are available from 1 1/2" to 2 1/2" and offer a wide array of finishes perfect to complement any chess set. 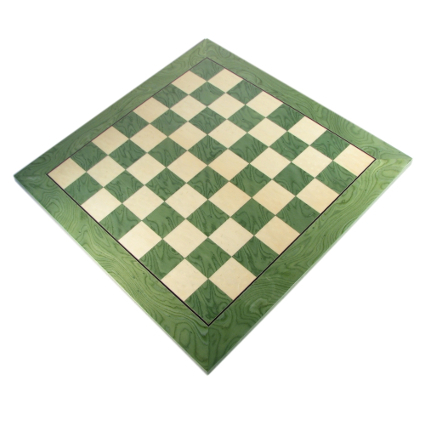 The presidential line include some of the best chess boards from Mark of Westminster. They are thicker and heavier than other boards, featuring a black beveled edge and detailed mosaic around each board. 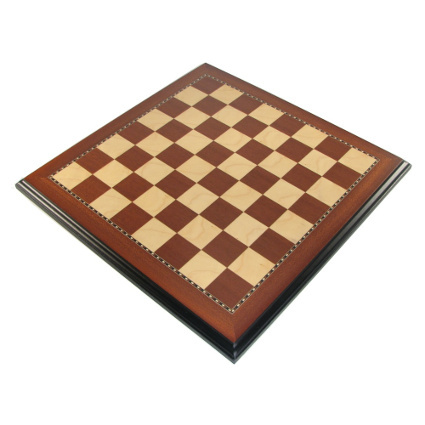 The real-wood Spanish veneers are available with square sizes from 1 3/4" - 2 1/2" and are a perfect compliment to any luxury set of chess pieces. 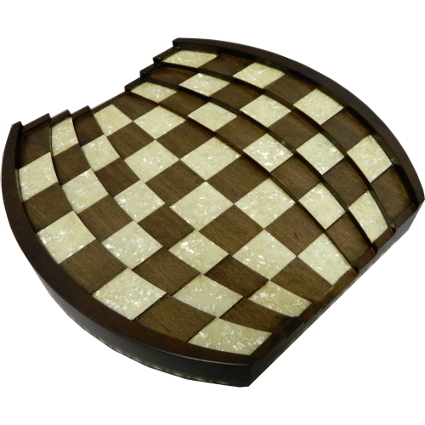 Most chess boards are made from veneers or in some cases inlays. 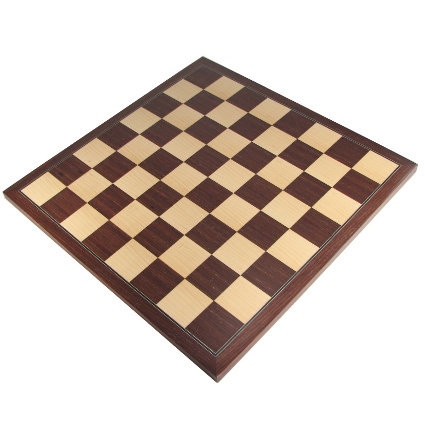 These are the best solid chess boards, comprised of blocks of wood that go all the way to the other side. These luxury boards come in a number of exotic hardwoods in different styles. For a different approach, our imported Italian leatherette ches boards certainly make a statement. These boards come in a number of color combinations both with and without storage. 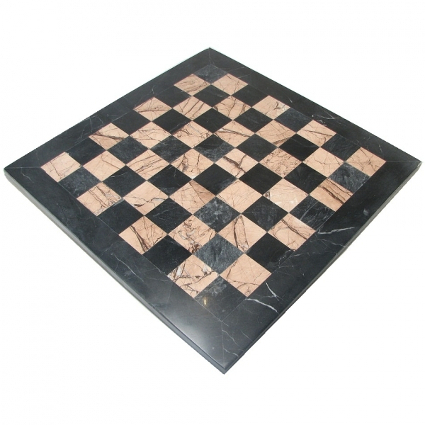 An alternative to traditional chess boards made in wood would be a marble option. While marble is most often sold as chess sets, it also pairs very well with brass and metal chessmen. 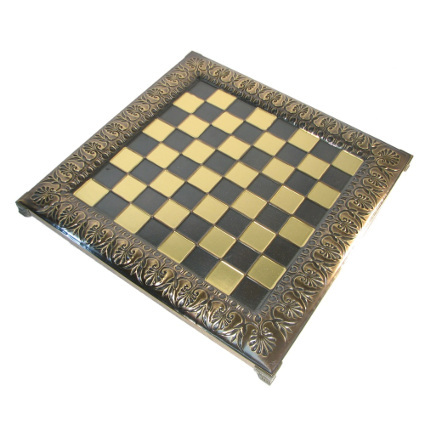 Metal chess boards are often used with brass, metal, or other thematic chessmen. We have a number of designs with historic inspiration from Greek to Byzantine, as well as some more standard styles. 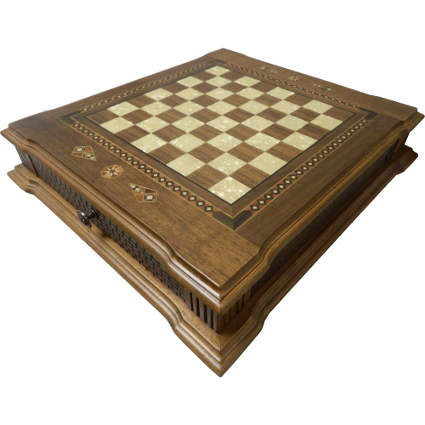 For a full presentation, we have scoured the world for an incredible collection of some of the best chess tables available anywhere. We have both four leg and pedestal based tables in different materials and finishes, as well as chess tables suitable for outdoor use. 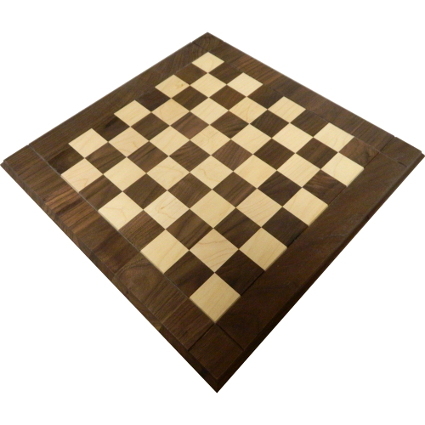 We carry an amazing selection of chess boards that should fit any need. Below you will find some quick links that will take you to our sub-categories of chessboards. You will notice that all of our boards are categorized in two ways: Style (storage, gloss, traditional), or size. While it is nice to see the different options available, it is often easier to find the right board by square size - especially if you already have a set of chess pieces.